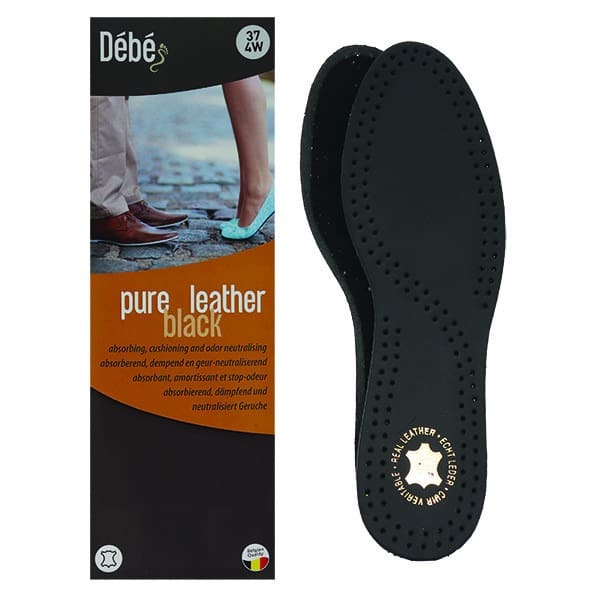 The Debe Pure Leather Black Insole is manufactured with dyed through smooth leather on a stable PU foam backing. This insole has active carbon and an antibacterial agent which reduce odours, absorb moisture and provide soft and luxurious comfort. Available in 11 sizes.